Crystal Bowersox is a singer songwriter from Nashville. She visited diabetes camps over this past summer. I had the opportunity to interview her. 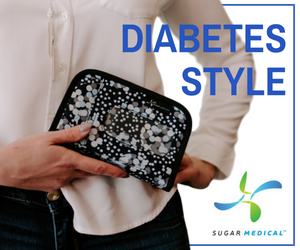 Crystal answers questions like if diabetes ever gets in the way of performing and what a day in her life is like. D-Kid: Does diabetes ever get in the way of performing? CB: Not completely. My blood sugar definitely affects the quality of my performance, which is why it’s important to maintain good control before hand. I aim to start any show at a stable 120. Naturally, the adrenaline rush raises my glucose level, and typically falls back to my target range after the show. I’ve had a low on stage before, which I used as an opportunity to talk to my audience about Type 1 Diabetes while I waited for my blood sugar to rise. 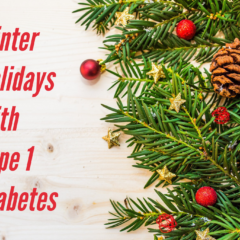 T1D presents a challenge sometimes, but will never stand in the way. D-Kid: Do you know anyone else with diabetes? CB: I sure do!! Many, many people. 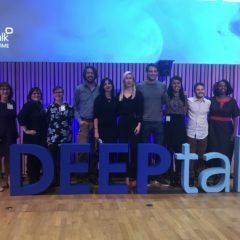 I’ve met so many amazing people living with T1D – we’re all in the family. CB: I was in second grade. 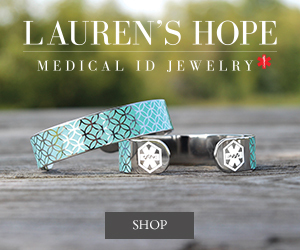 I had the usual suspect symptoms – frequent urination, extreme thirst, weight loss. My doctor ran lots of different tests, but it wasn’t until he tested my blood sugar that we knew. D-Kid: Do you have any other interests other than being a singer/songwriter. CB: I love to cook, Kayak, hike, camp, rock climb, knit, garden, draw… and learn new things every day!! CB: Depends on the day, and where I am in the world! When I’m at home, my routine is easier, more predictable. I like to wake up early and check my CGM first thing. I’ll have some coffee with a light breakfast, and bolus accordingly. My 8 year old son, Tony, keeps me pretty busy throughout the day, so wherever we go, my pump, CGM, and a snack are always with me. I try to eat healthy, and get some form of exercise every day. Yoga is one of my favorite ways to do that. On tour, things can get a bit hectic! Long drives from city to city, late hours after shows… it takes a little more effort on the road to make sure that I am eating well, sleeping well, and monitoring and correcting as I go, but it is worth it to do what I love for a living! A northwest Ohio native and Nashville resident, singer/songwriter Crystal Bowersox, 30, has been performing for audiences since the age of 10. Her soulful, stirring approach to American music has been met with critical acclaim. Crystal has been described as possessing a voice “incapable of artifice” by the Washington Post, and as “having a keen, finely honed pop instinct all her own” by the New York Times. With collaborations that include legendary talent such as the late Joe Cocker and B.B. King, Alanis Morissette, Jakob Dylan, John Popper of Blues Traveler, Melissa Etheridge, and many more, it is clear that her vocal prowess is recognized and respected among her peers. Diagnosed with type 1 diabetes at age 6, Crystal Bowersox understands what it’s like to be a child with diabetes. 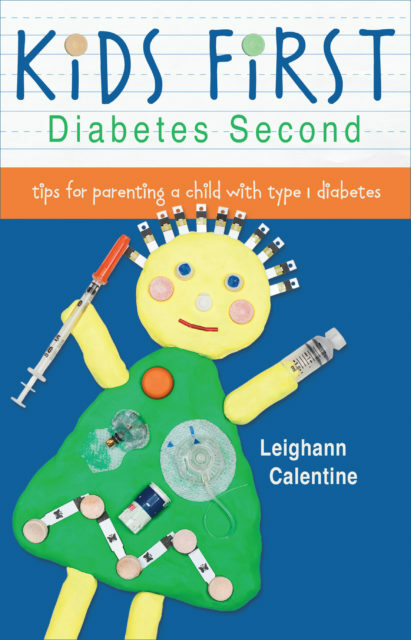 As an adult, she actively advocates for diabetes awareness. “It’s a lonely disease as a kid, sometimes you feel like you’re the only one,” she says. “I want people to know they are not alone. I am happy to be a voice for people with type 1 diabetes. It brings joy to my world to be able to help.” When away from touring and recording, Crystal visits diabetes summer camps on behalf of Lilly Diabetes to share her story and to serve as an example that, with proper diabetes management, dreams can come true. Crystal’s new live album, Alive, is now available on iTunes® and Amazon. For more information visit www.crystalbowersox.com. And, follow her on Facebook and on Twitter @crystalbowersox. 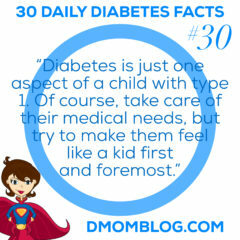 Q was diagnosed with type 1 diabetes at the age of 3. 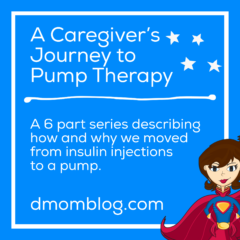 Her management tools include an insulin pump and a continuous glucose monitor (CGM). She was a 2015 delegate to the JDRF Children’s Congress. She’s active in local musical theatre and film, loves all things Marvel and DC, and enjoys sewing and drawing. 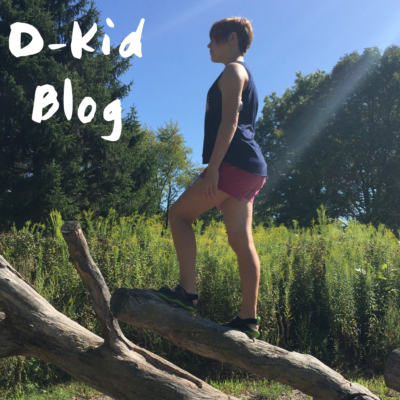 Read more D-Kid Blog posts written by Q.